Here’s how to increase the impact of these already popular conservation programs. Credit: Flickr user Mads Hugo Pedersen. U.S. Department of Agriculture conservation programs protect more than just natural resources. Row crop farmers can get expert advice from soil scientists on nutrient management plans, saving them money and increasing their yield. New and beginning farmers can also get the assistance they need to establish their business with a plan to operate for the long haul. Of course, the environment will benefit from these programs, too. For example, livestock producers can work with USDA’s Natural Resources Conservation Service experts to build an effective manure management system that removes waste from their operation without harming groundwater. Target federal funds to the most impaired watersheds and to the practices that improve soil health and fertilizer efficiency. This improves not just water quality, but also producers’ bottom lines. Adjust federal requirements so that a more diverse set of partners can contribute to conservation projects in coordination with federal programs. Create new market opportunities for farmers by having the U.S. Department of Agriculture play a more active role in kick-starting and supporting innovative environmental markets such as habitat exchanges and agricultural markets that provide additional sources of income for farmers. The market demand for sustainably produced grain is strong – and growing. 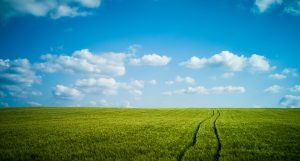 Retailers and companies including Walmart, Campbell’s Soup, Kellogg’s, Unilever, Smithfield Foods and Land O’Lakes are all working to help the growers in their sourcing areas farm more sustainably, connecting them with the tools and resources necessary to reduce input costs and increase yields. Similarly, the Midwest Row Crop Collaborative, a diverse group of companies and environmental organizations, is working to support wheat, corn and soy growers’ use of conservation practices that protect yields while enhancing soil health and reducing nutrient loss into streams and air. But all of this private sector movement is not nearly enough – if we don’t align key federal policies with this unprecedented supply chain momentum, we will hit roadblocks that will compromise any environmental improvements. Federal policy lags behind – and in some cases threatens to hold back – private sector innovation. 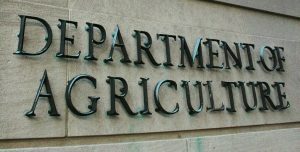 Improving collaboration between USDA and the private-sector advisers that work with the vast majority of U.S. farmers (ag retail, agronomists and others) will enable federal programs to better meet the needs of farmers and agribusinesses, resulting in more conservation on the ground. This entry was posted in Partnerships, Sustainable Agriculture and tagged Campbell's, farm bill, fertilizer efficiency, Kellogg's, Land O'Lakes, midwest row crop collaborative, Natural Resources Conservation Service, NRCS, Secretary of Agriculture, Senate Agriculture Committee, Smithfield, soil health, U.S. Department of Agriculture, USDA, Walmart. Bookmark the permalink. Both comments and trackbacks are currently closed. Very interesting reading – challenges for US farmers similar to the Swedes. How large part of the total farming is ECO farmed? Tell me why the EPA’s latest trial and error on protecting watercourses is not an over-reach? Most of the agriculture sector believes it is! If EPA spent its funds on helping farmers slow down the movement of water as does the Natural Resources Conservation Service and 3,000 Conservation Districts in this country instead of on enforcement activity would not the net result be more protection of our water resources. As an elected SWCD Director myself, I support the Clean Water Rule. It think there was a huge misinformation campaign regarding this rule, and broad claims made about it that just aren’t true. For example, agriculture has long been exempted from the same protection of wetlands required by other industries, and the rule doesn’t change that. I think frankly that farmers have be used as a tool by corporate interests to oppose something that honestly will benefit average people in the long run. People forget how bad things were before the EPA and the Clean Water Act, but I guess we’re going to find out the hard way what our grandparents also learned the hard way.